If the square footage of your living area is shrinking, then it’s time to call our junk removal specialists. Whether you need junk removed from your garage, basement, or construction site, we are fully equipped to provide junk hauling for jobs of all sizes. We also provide demolition services for residential and commercial customers. In addition, you don’t have to lift a finger when you use us for junk removal. Even if the junk is located in a hard-to-reach area, we’ll get it for you and haul it away. Most importantly, because we are highly experienced, we will not damage your property in the process. Simply schedule an appointment, tell us where the junk is, and we’ll clear the way for quality services. You can’t handle the junk! But we can. Any construction or cleanup project creates a pile of rubbish that can make a mountain of trash on your yard. Fortunately, you don’t need to worry about it. 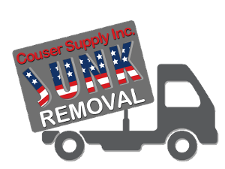 Allow our junk removal specialists to carry your worries away. On the same day as you call, we’ll promptly dispatch a truck at your place. 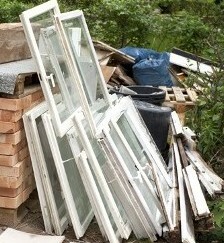 Solid waste removal is our area of expertise. We provide quick, efficient, and affordable services because we have the right equipment and skilled manpower to accomplish any task. What seems like a mountain to you is only molehill for us. Contact us when you’re planning a big cleanout at your residential or commercial property. We proudly serve residential and commercial customers in Washington, DC.